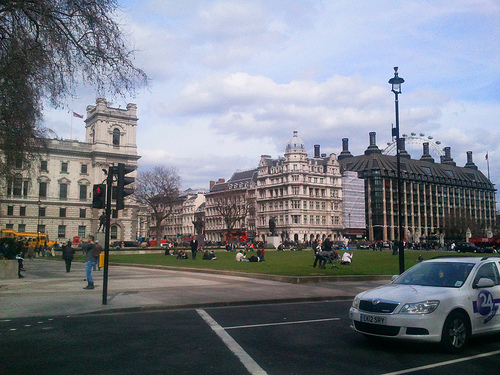 Your author has been spending more time in and around Westminster than usual in recent weeks, and has been quite amazed as the weather has got better to see scores of people sitting out having lunch in Parliament Square, enjoying the sunshine. It's all thanks to the new crossings which - though controversial in their reasons for being established - have breathed new life into a space which had too long been cut off from real people via three lanes of traffic, allowing them to take time to enjoy their surroundings and see statues of some great men up close. After all that it seems that Brian and the village unwittingly managed to be a democratising force after all.